Can love last forever? 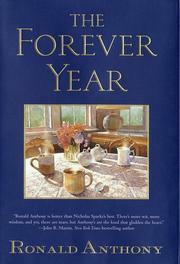 Is forever longer than this interminable first novel? After his wife dies, Mickey Sienna rattles around in his suburban New Jersey colonial. Physically frail but mentally sharp, the former stockbroker still trades online, but when he escapes an accidental kitchen fire, his grown kids put in their two cents. Maybe dear old dad should be parked in an assisted-living facility where he can’t hurt himself. Or at least sell the house and buy a smaller place. Yes, says Mickey, but what about the memories? Get out your handkerchiefs, because here come more than 50 years of marriage to saintly but dull Dorothy. They had some swell kids, too: Darlene, Matty, Denise, and a surprise fourth baby, Jesse, who’s 20 years younger than Darlene and trying to figure out why he gets along better with his nieces and nephews than with his siblings. (Hint: he’s amazingly immature.) This strapping toddler is now 32 and only just beginning to realize that the world does not revolve around him. But why? He thinks and thinks. “I was too young for one group and too old for the other. I was a man without a generation.” Jesse is a sensitive soul who’s wary of making a commitment but tired of playing the field, what with all that emotional scar tissue on his metaphorical heart. Yes, Jesse is a thoroughly modern Millie for the millennium, a man with genuine issues, who’s not afraid to talk about his feelings at great length, as if a talk-show audience were hanging on every word. A multitude of supporting characters give their opinions and add a few details about what happened when. Then there’s one last gasp from Dad, who explains about his long-lost love; he still loves her and she still loves ice cream. The message? Gather ye rosebuds, of course. A lackluster entry in the men-who-write-mush category, which Nicholas Sparks (see below) still has pretty much to himself.